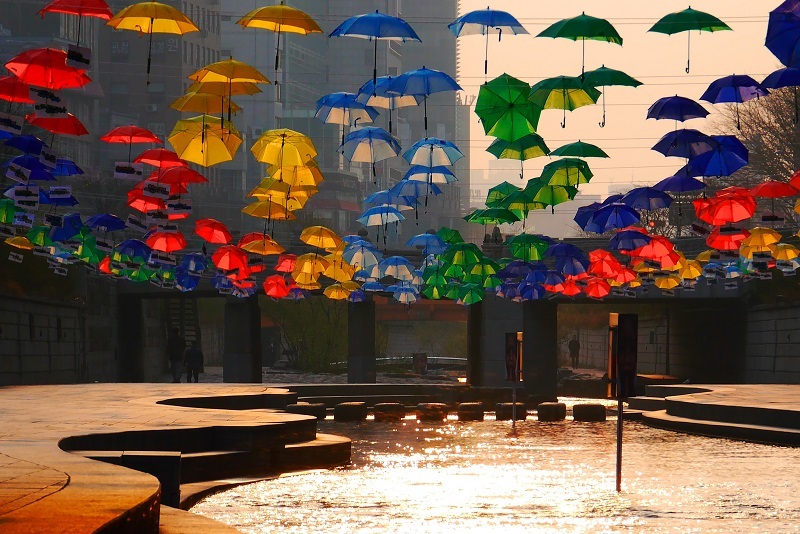 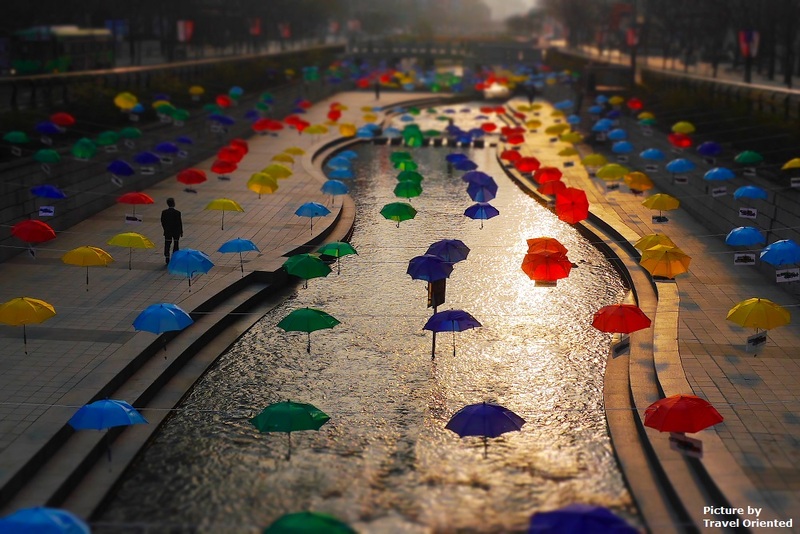 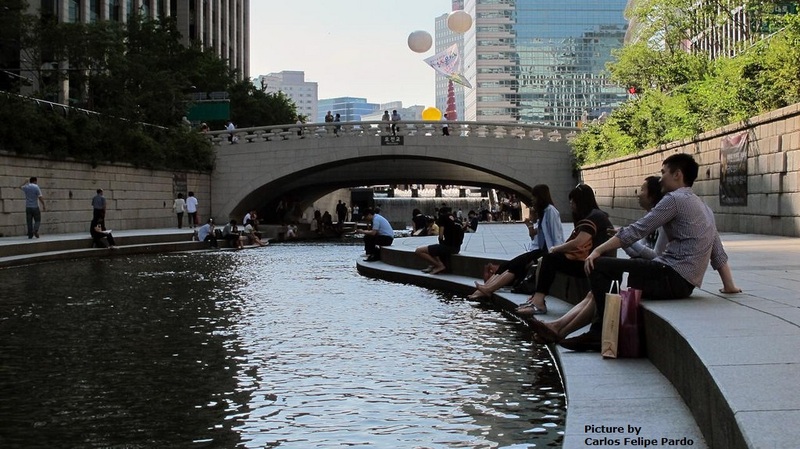 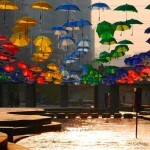 Cheonggyecheon (청계천) is piece of nature in the heart of Seoul city that coexists together with all the tall buildings. 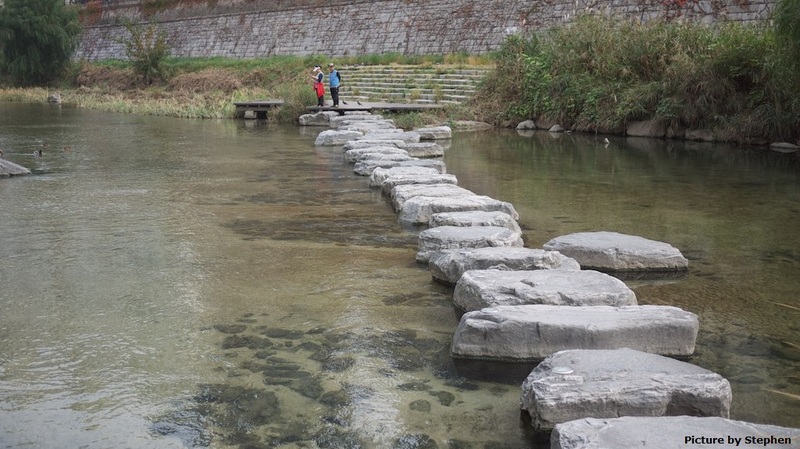 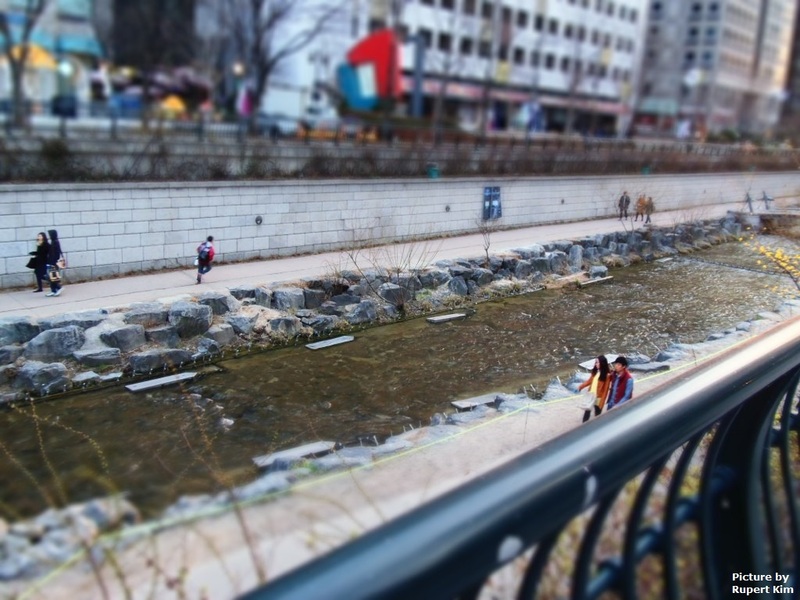 The stream has a total length of 5.8 km (3.6 mile) and is 15 ft. (4.6 m) bellow the street level, which gives a sense of peace and silence from the busy city. 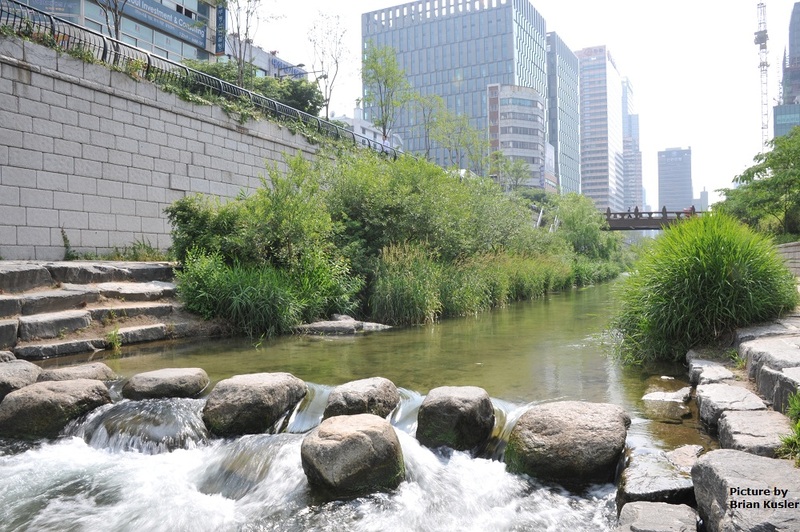 Cheonggyecheon is a good option to enjoy a walk and feel a little bit the nature in the middle of the city. 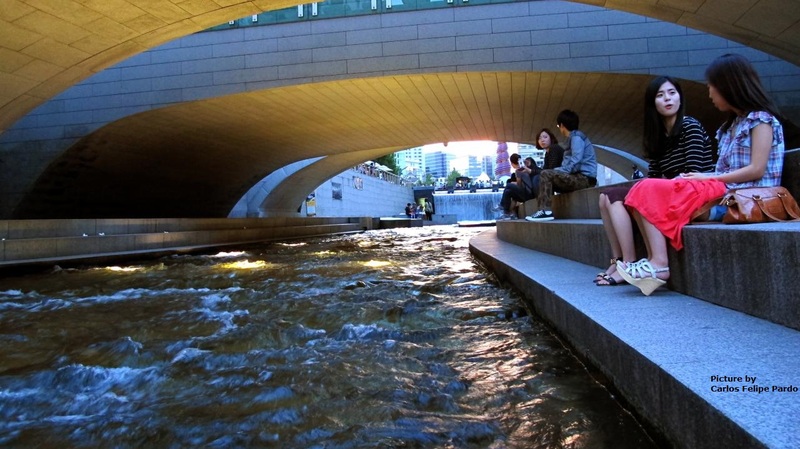 I personally like this place during sunset time or at night. 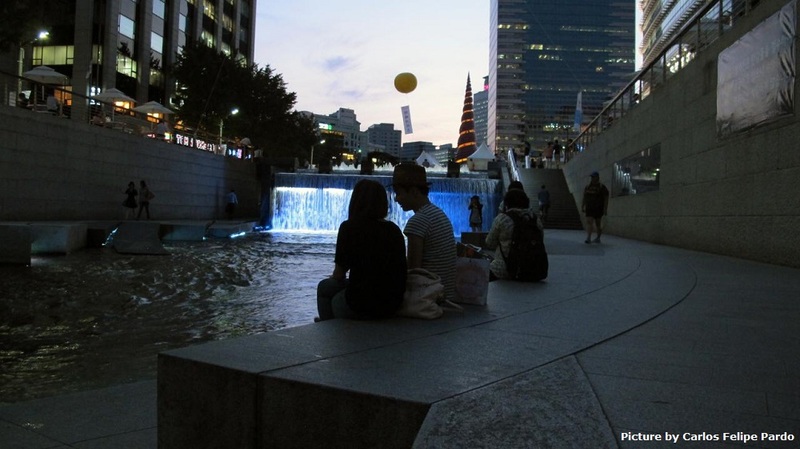 The small waterfalls, stepping stones and bridges also make Cheonggyecheon a perfect place for couples. 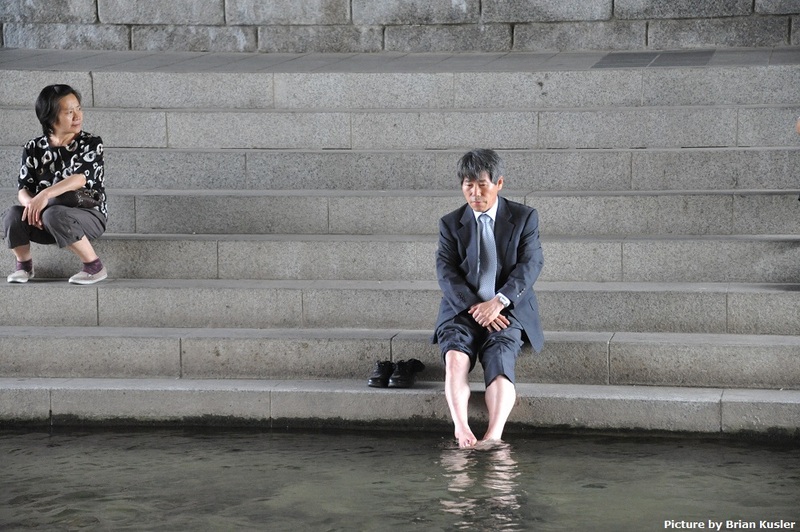 You will see a lot of couples walking around, sitting next to the steam and taking pictures. 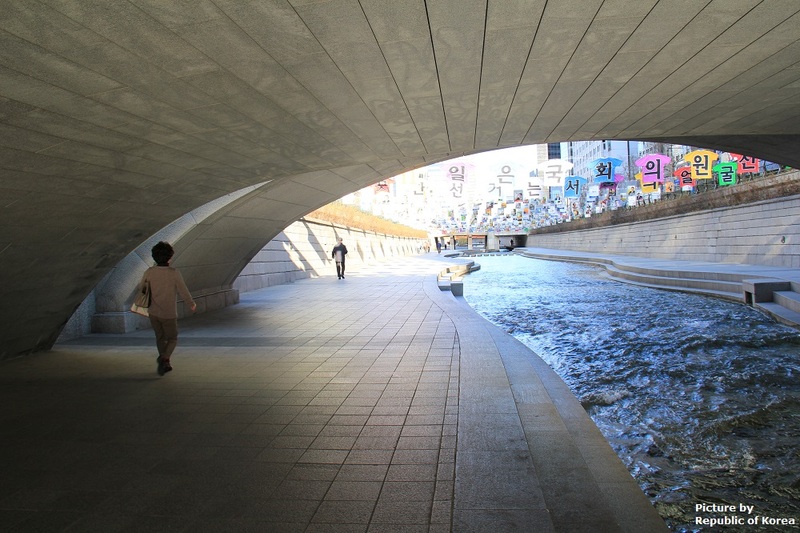 Sometimes events and concerts take place here. 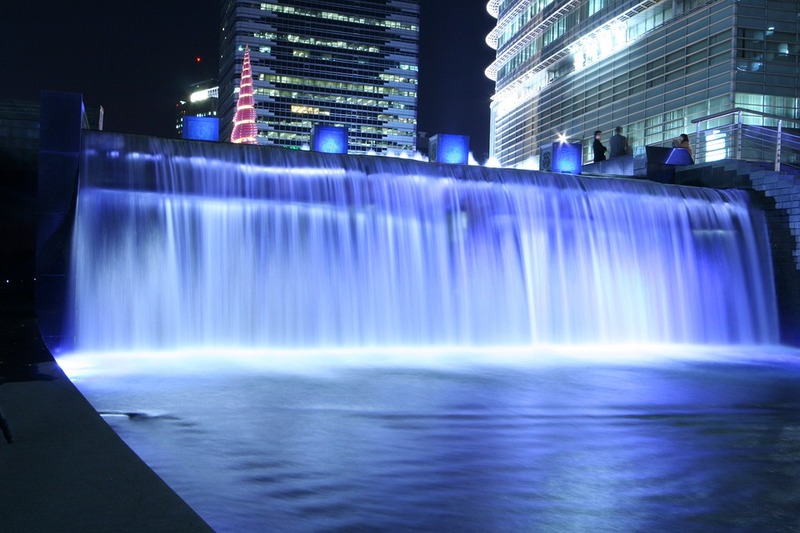 Other times, the stream is decorated with lights and other stuff in celebrations such as Christmas time.